Invite friends and family to Foothills to celebrate Jesus, our risen Lord. 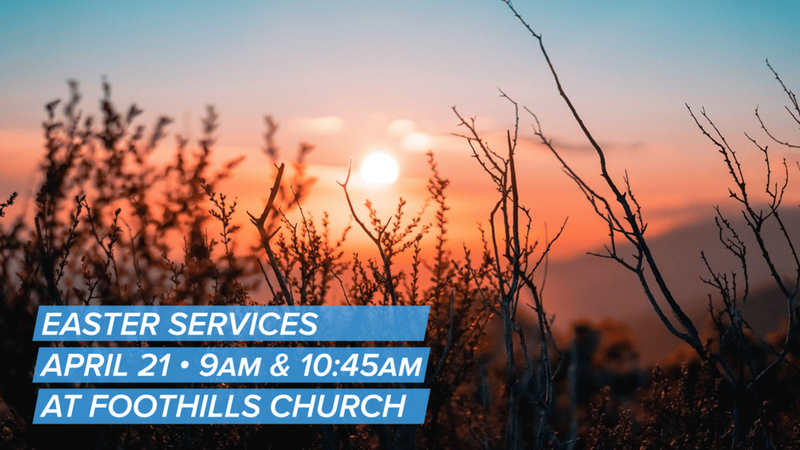 Service times are at our regular times, 9am & 10:45am. We will also be baptizing people on Easter Sunday. If interested in baptisms, email worship pastor Andy Ulrich.